Friday, January 27th at Winnacunnet High School! Planking is one of the most effective total body moves that strengthens your core, legs, and upper body. Plank can even help prevent injury! Risk factors of low back are thought to begin in school aged children and therefore research suggests it is “desirable for children and adolescents to perform moderate-to-high intensity dynamic core exercises during physical education warm-up to improve trunk and core muscular endurance.”1 Core stability exercises have been found to be more effective than general exercise in the prevention of low back pain. We are challenging the students and faculty to see who hold’s their plank longest! All Winter Sports Teams will compete against each other to win $500 for their Team! The team that averages the longest plank time will take the prize! 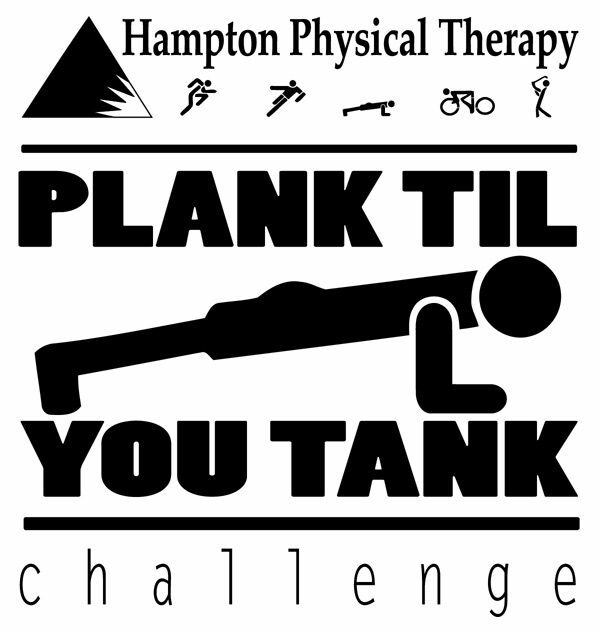 Teams will also be given a PLANK TIL YOU TANK T-SHIRT! 1 Year Seacoast Sports Club membership for the student that wins PLUS a 6 month family membership! Hampton Physical Therapy is excited to sponsor this great challenge to the students and faculty of WHS! Yes, Faculty are invited to compete too! Hampton Physical Therapy is devoted to community events and the health and fitness of all. We wish all good luck!